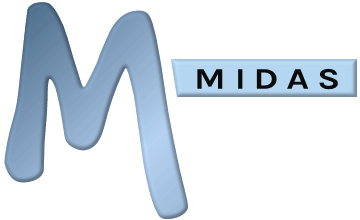 We offer two editions of our MIDAS room booking system; a "cloud hosted" edition and a downloadable "self hosted" (on premise) edition. If you initially purchase a "cloud hosted" edition of our room scheduling software (where we "host" your MIDAS system on our servers and network infrastructure) and then at a later stage wish to move to a "self hosted" edition (where you install and run MIDAS from your own web server), this is possible! Similarly, if you originally purchased a "self hosted" edition of MIDAS and then decide at a later date to move to a "cloud hosted" system, this is also possible! In either case, your existing data and settings can also be migrated across so that you and your users can carry on right from where you left off in your previous MIDAS booking system. Please note that if migrating from a cloud hosted to a self hosted system, existing data can only be migrated from active cloud hosted systems, or recently expired cloud hosted systems that expired within the data retention period. Please also note that migrating between editions of MIDAS may incur additional charges, due to the differences in pricing between our "self hosted" and "cloud hosted" support packages, and including administrative/data migration fees where applicable. Additionally, please note that if migrating from a self hosted to a cloud hosted system, your self hosted system should first be running the most recent version of MIDAS, otherwise further additional costs may be incurred, or it may not be possible to migrate your existing data across (i.e. if you're currently running MIDAS v3). If you are interested in migrating from one edition of our software to another, please contact us, and we'd be very happy to advise further.